My husband and I promised each other when we married that we would do a marriage building course every three years and have succeeded thus far. This has been the most amazing conference we have ever attended. We have received the best tools, had the best conversations and taken even more steps closer to each other. Spend a refreshing weekend in Montebello, QC hearing speakers sharing insights and perspectives on marriage with a group of 75 couples interspersed with time for individual couples to reflect on the presentations and enjoy the beautiful surroundings. For more details, pricing and to register call 1.800.247.3180 or visit FamilyLife Canada. Diplomat couples be sure to include the code DPL1617 when registering for a special discount. Keith and Sheila have been married for 25 years and happily married for 20. 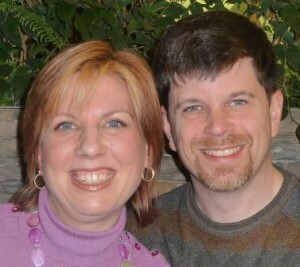 Sheila is an award-winning marriage author of seven books, speaker and blogger. Keith is a community pediatrician and educator at Queen’s University. Together they spend a lot of time driving around North America in an RV and face-timing with their two grown daughters.